This is perfect for anywhere in your home or garage. Built with a 360 degree swivel base. 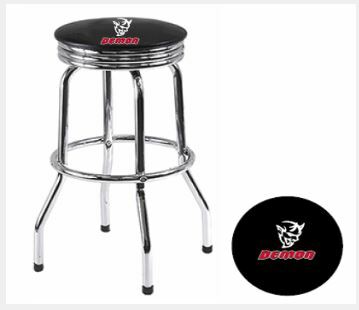 Demon logo on comfortable padded seat. Steel frame equipped with non-skid foot pads for stability and durability. Some assembly required. 30” high after assembly.